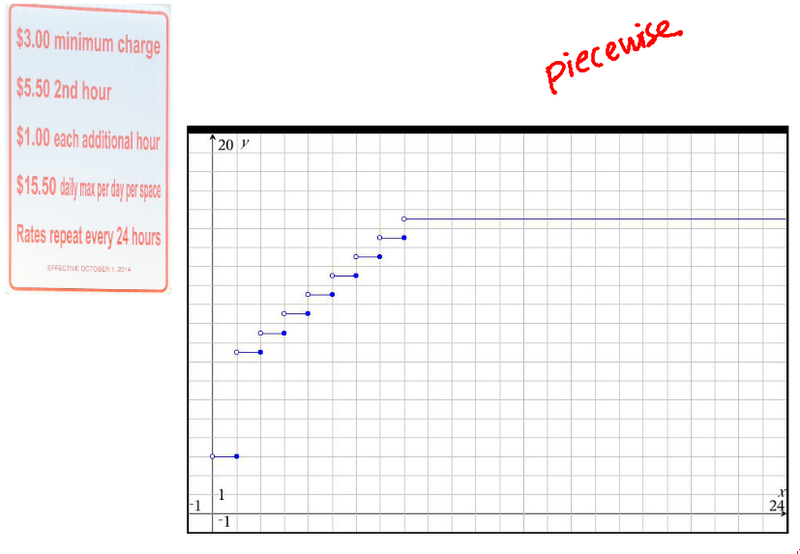 Level 4: I can sketch a graph of a piecewise-defined function given a verbal description of the relationship between two quantities. 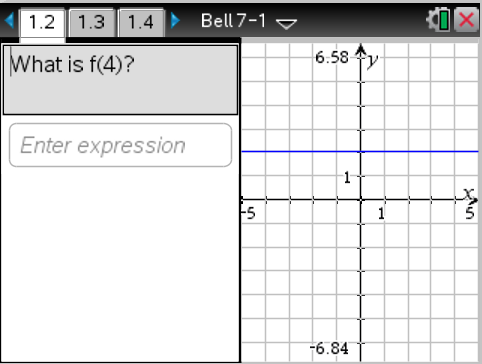 Level 3: I can interpret key features of a piecewise-defined function in terms of its context. 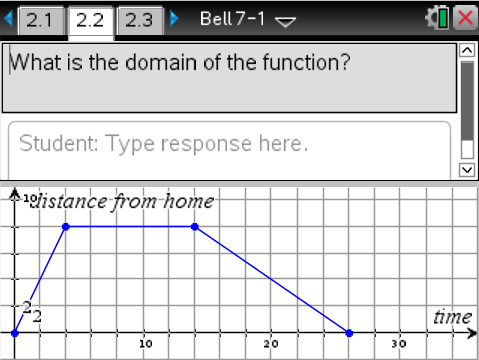 Level 2: I can determine the domain and range of a function given a context. Level 1: Using any representation of a function, I can evaluate a function at a given value of x, and I can determine the value of x for a given value of f(x). We started with an opener to ensure that students were successful with Levels 1 and 2 so that we could reach our target (Level 3) during the lesson. Questions 1-4 gave us evidence that most students could evaluate a function at a given value of x and determine the value of x for a given value of f(x) using any representation of a function. Questions 5-6 gave us evidence that our students needed more support determining the domain and range of a function given a context. Without showing the results from the opener that are pictured above, we talked all together about the context, reading the graph, but not explicitly discussing the domain and range. 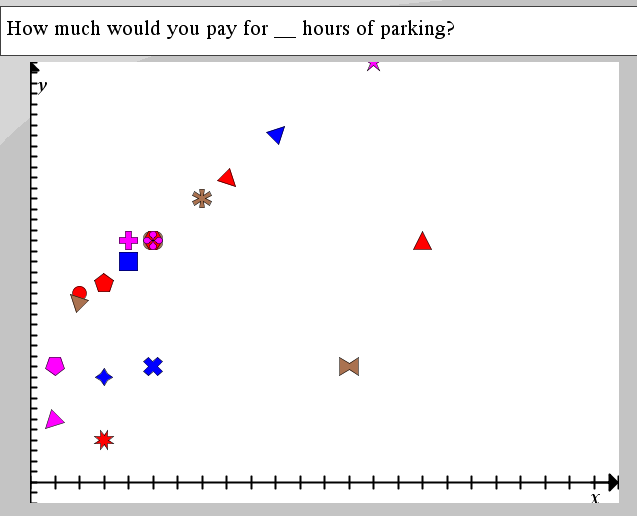 When we sent the question as a Quick Poll, we saw evidence that more students could determine the domain and range of a function given a context. We probably could have spent more time on Level 2 in class. But we didn’t. Instead, we had to provide additional support for Level 2 outside of class, through homework practice, zero block, and after school help. 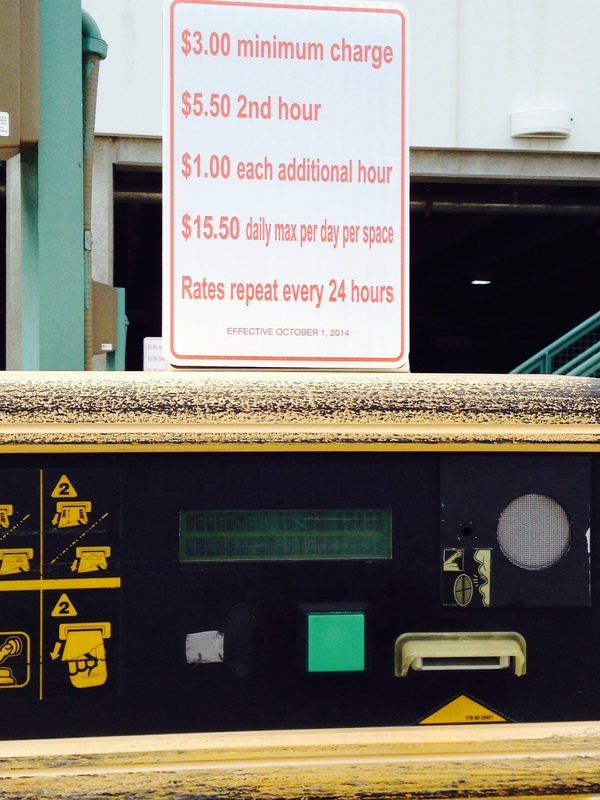 To open our discussion of piecewise functions, we showed this picture from the front of the Jackson airport parking garage. Students wrote down a few observations individually, then shared their thoughts with a partner. We selected some for our whole class discussion. 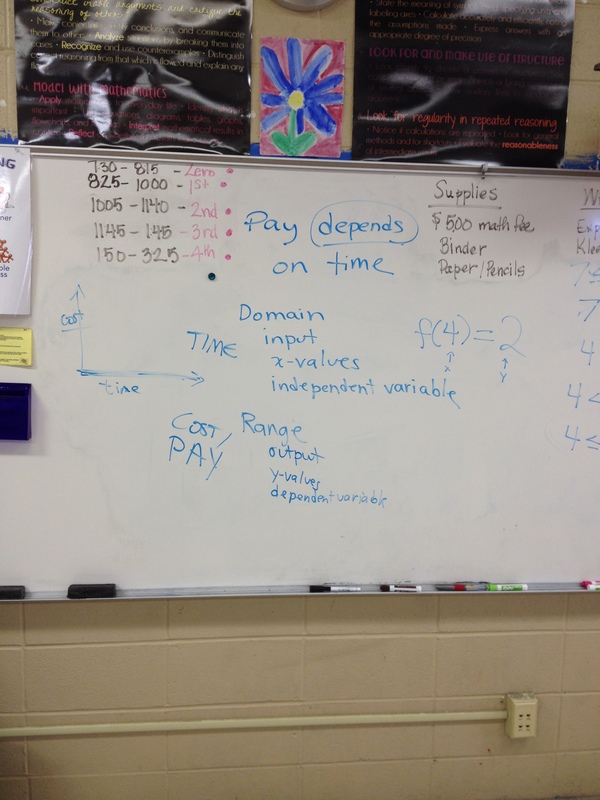 In particular, it was helpful that one student specifically said, “pay depends on time”. 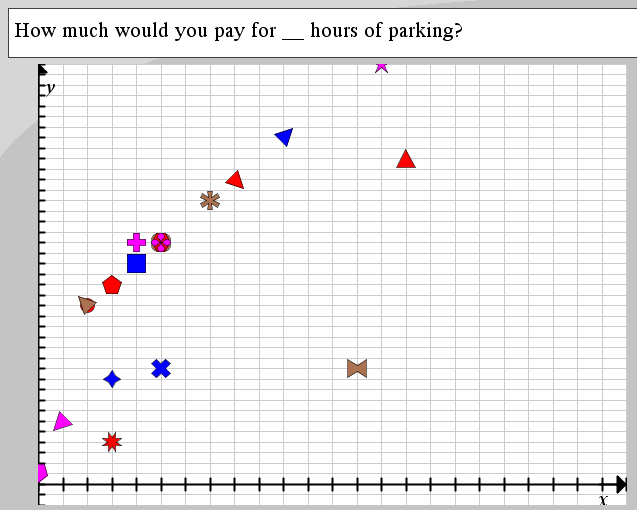 How much would you pay for a certain number of hours of parking? Similar to an idea from the Internet Plans Makeover, we asked students to choose a number between 0 and 24. 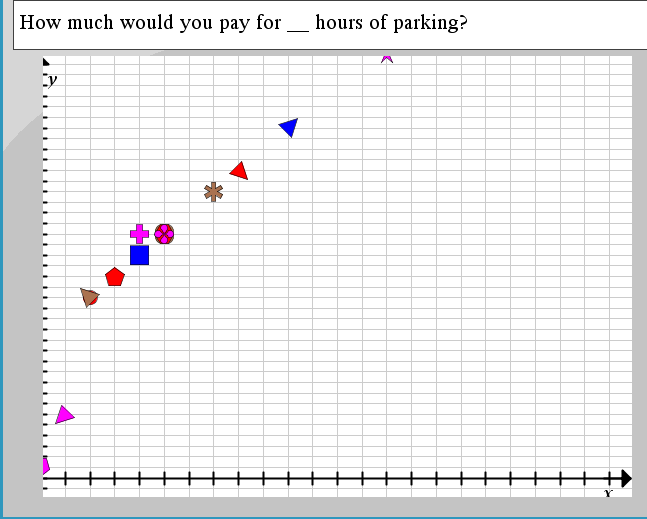 If you park that many hours, how much will you pay? We asked students to check work with a partner before submitting. The result wasn’t quite as disastrous as when we tried the Internet Plans Makeover. Showing the grid helps some. And having a whole class discussion about the stipulations of the sign helped even more. Did anyone choose a non-whole number? 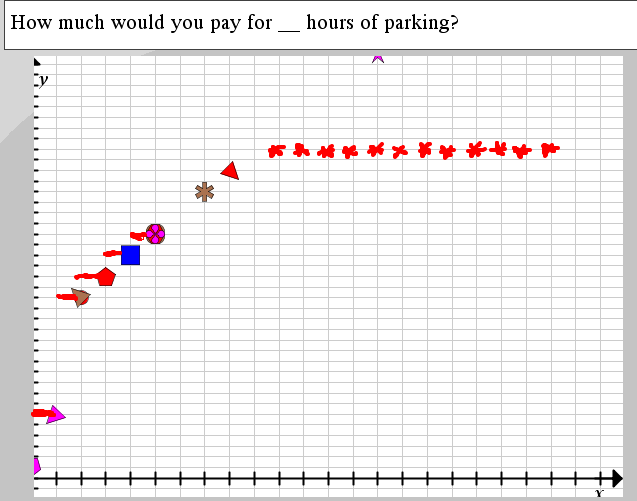 What would happen if you parked for 1.5 hours? Or 2 hours and 20 minutes? 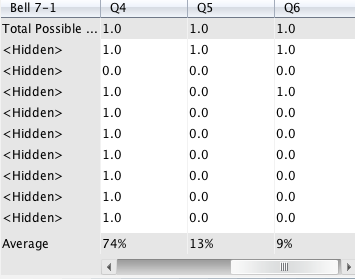 I am going to google.group….I am having trouble making the domain discrete for trace per minute. Did they drop a point or type in coordinates for the last QP? The QP was Drop Points.